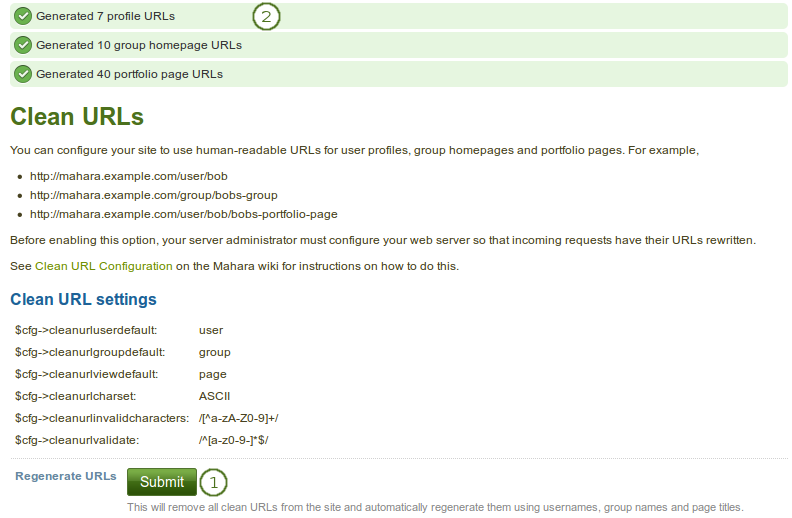 Plugins in Mahara are always installed and can be accessed if users know the URLs and would otherwise have access. 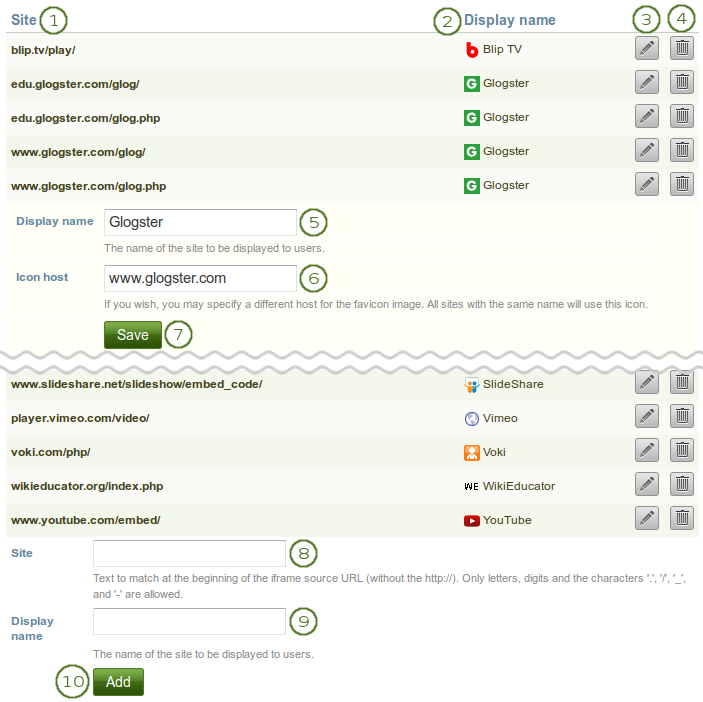 Rather than enabling and disabling the functionality, plugins are hidden or made visible by clicking on the hide or show links beside the plugins. When hiding an artefact type plugin, Mahara stops the display of the blocks related to it. If you added a plugin to your site, you will need to go through its installation. A plugin that is not yet fully installed is marked with a warning. Click the Install link to start the installation process. Core Mahara functionality can be made unavailable to users by hiding it. This may be useful if you connect Mahara to another system that already provides this functionality or if you do not wish your users to use that functionality. However, the decision about hiding a functionality should be considered thoroughly as it may also mean that users may not be able to have as many artefacts available to them as they should have. Download folders as zip files: If you tick the checkbox, you can download the contents of a folder displayed in a Folder block as zip file. Thus, it is very easy for a viewer to grab all files at once and download them to their computer. Use Slimbox2: Check this box if you want to use this script to overlay images on the current page. Use photo frame: Check this box if you want to put a frame around the thumbnail of each photo in photo galleries. Other video file types can be enabled, but users must have the appropriate software installed on their computers and the respective plugin enabled in their browsers to play them. Select the file types that you wish your users to be able to show on their portfolio pages. Turn comment ratings on to enable 5-star ratings in the feedback section on artefacts and pages. Click the checkbox to enable comment ratings. You can configure a variety of options for uploading files. Update user quotas: Check this box if you want to update the file quota for existing users with the value under Default quota. Only then will they be updated. Institution quota: Check this box if you want to allow institution administrators to set user file quotas and have default quotas for each institution. Enforce a site-wide maximum quota: Check this box if you do not wish an administrator to go beyond the allowed maximum quota. Update group quotas: Check this box if you want to update the file quota for existing groups with the value under Default quota. Only then will they be updated. Require agreement: Enable this option if you want to force users to agree to certain terms before they can upload a file to the site. They must accept this agreement before they are able to choose a file from their computer to upload to Mahara. A default agreement is provided and the text displayed. Use custom agreement: If you want to write your own upload agreement, check this box in addition to Require agreement. Resize large images automatically: Enable this option to resize any image that is uploaded to the maximum width and height settings. User option: Display users the option to resize images automatically in their account settings. Maximum width and height: Choose the maximum width and height (in pixels) to which images will be resized upon uploading. Profile picture size: Choose the maximum size of the profile pictures for users (in pixels). All images uploaded to the profile pictures area will be resized to these dimensions if they are larger. Select All to mark all file types. Select none to clear your selections from the checkboxses. Exact user searches: Check this box if you want to enable exact user searches. This feature allows you as site administrator to specify the base URLs for media that you want your users to be able to embed. These iframes are then considered safe and will not be stripped out of a text box, the external media block or a journal entry where you can use them. You do not have to write bespoke filters for using these iframe sources. Click the Edit button to update the display name of an existing iframe source or the favicon source. Click the Delete button to remove an existing iframe source. Display name: Change the display name of an existing iframe source here after having clicked on the Edit button .